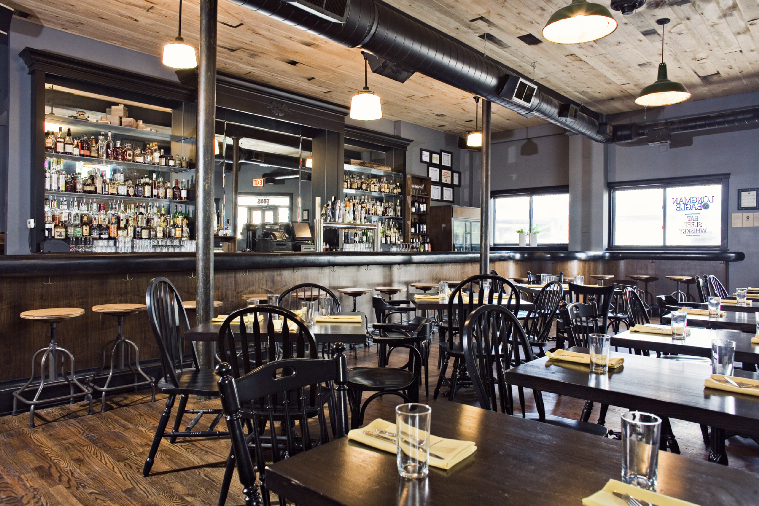 Logan Square’s whiskey-loving hotspot is now an equally artisanal inn. 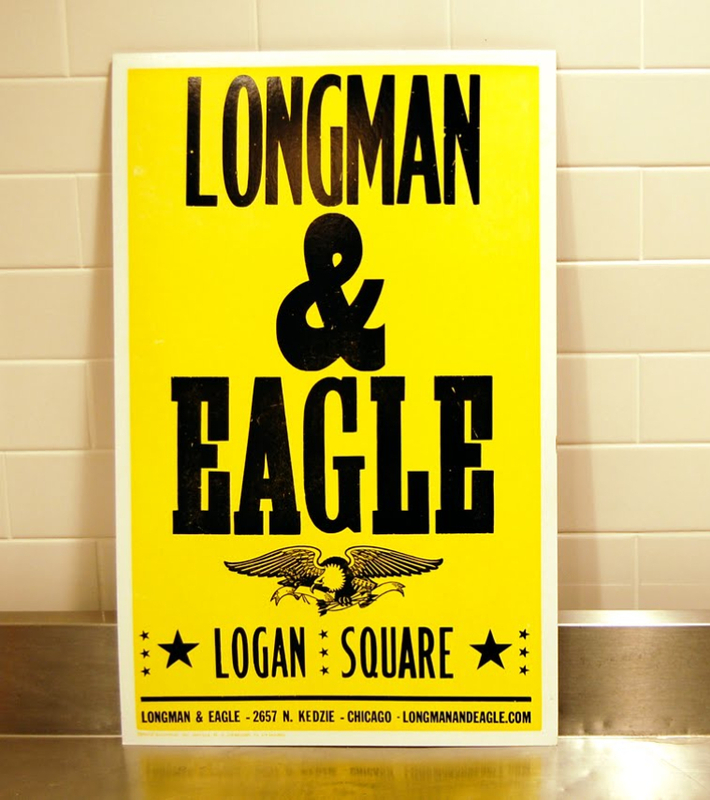 Last year was an amazing one for Longman & Eagle (2657 N. Kedzie Ave., 773.276.7110), a year-old gastropub in Logan Square, on Chicago’s near northwest side. Both Esquire (“ingenious, gutsy cooking”) and GQ placed it on their lists for best new restaurants — Esquire also called it one of the best new bars. This November, L&E got a Michelin star — one of only 18 Chicago restaurants to get the nod. Now we’ll see how L&E fares as a hotelier. The six rooms upstairs were always planned — the motto painted on the window outside is “Eat Sleep Whiskey,” after all — but it’s only this week that they’re finally available. 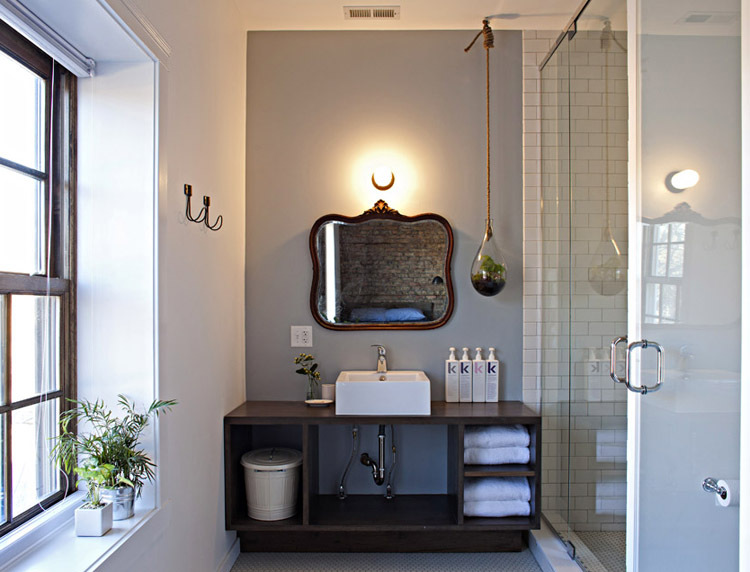 As you’d expect from the creators of the wood- and Edison-bulb-enriched space below, the crisp rooms aren’t aimed at lovers of either cushy chairs or stainless-steel fixtures. 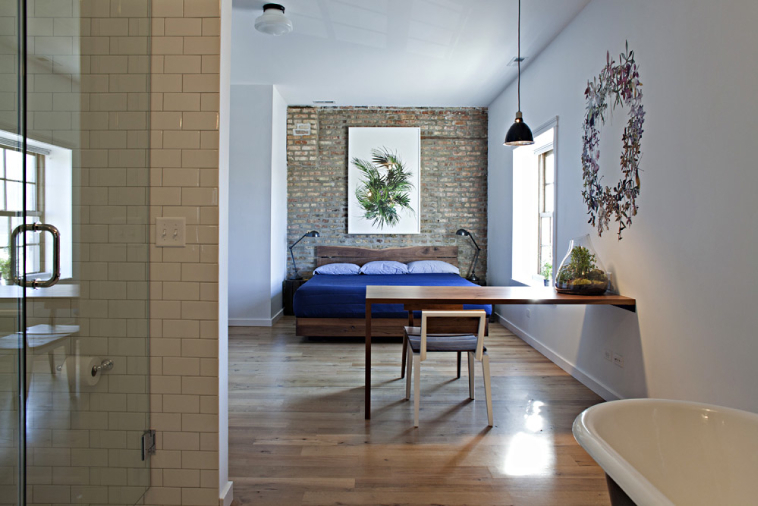 Instead, there’s exposed brick, original artwork, and custom wood furniture. The rooms have lots of amenities that can be spun into decent “talking points” — there’s the seemingly random room numbers, pendant-shaped terrariums that hang near the sinks or on tables, foam mattresses made of organic soy, Apple TVs, and (instead of a mint?) tokens that are good for a whiskey downstairs. The bigger rooms also come with old, charmingly bulky cassette players supplied with custom mixtapes. As with the rest of Longman & Eagle, the goal was to use as much of the existing materials as possible, but perhaps to use them in new ways. 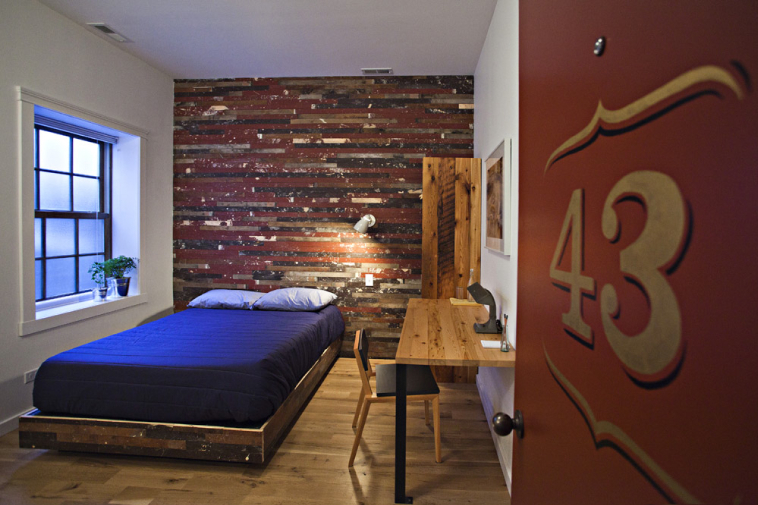 The burgundy wall behind the bed in room 43, for example, was made from floorboards. All this slightly backward-looking design is a good fit for the much-lauded bar and restaurant below, which has a ceiling made of overlapping and unfinished wood. The chairs in the restaurant may be not all match either, but they’re all freshly painted the same color. The bar itself is partly original, but now it has a curvy top and mirrored cabinets, both of which were designed and built by Robert McAdams. McAdams (also a part-owner) and his firm, Mode Carpentry, also designed the rooms’ headboards, desks, closets and other furniture. Of course, carefully curated surroundings and heaps of buzz will only get you so far. 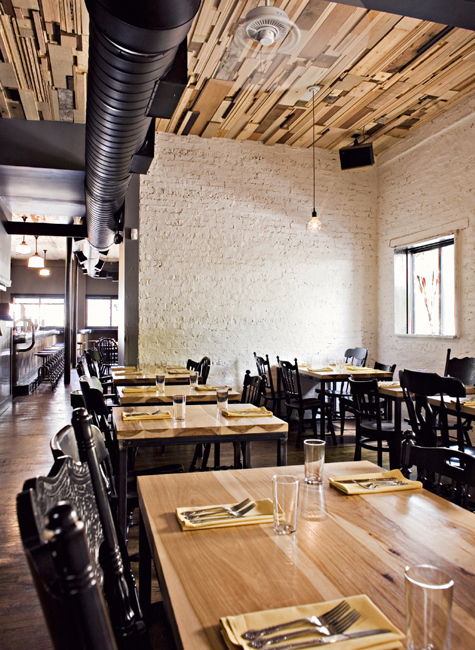 Ultimately, it’s executive chef Jared Wentworth’s meaty menu that keeps those not-so-matchy chairs filled. The wild boar sloppy joe is the dish that gets the most attention, but Hudson also recommends slightly more adventurous options, such as the tête de couchon — pig’s head tidbit that have been seasoned, formed into a dainty patty and topped with a duck egg. And in a plan to encourage adventurous drinking as well as eating, L&E has a list of nearly 40 whiskeys — some of them “really random,” according to Hudson, — that are available by the shot for just $3.